In July, Lao PDR experienced significant increases in water levels due to heavy rains from the southwest monsoon. The adverse effects were exacerbated by Tropical Storm Son-Tinh, which blew through several provinces in the south on July 18. The tropical storm damaged one of seven dams in a large hydroelectric network along the Xe-Pian River, in Attapeu Province. Around 5 billion cubic meters of water were suddenly anddevastatingly released downstream when the dam unexpectedly collapsed, affecting 13 villages and more than 16,000 people, over 10 percent of the province’s population. The flood of water and mud washed out roads and bridges and buried homes and buildings, leaving some 6,000 people homeless. The government has declared the region a national disaster area. 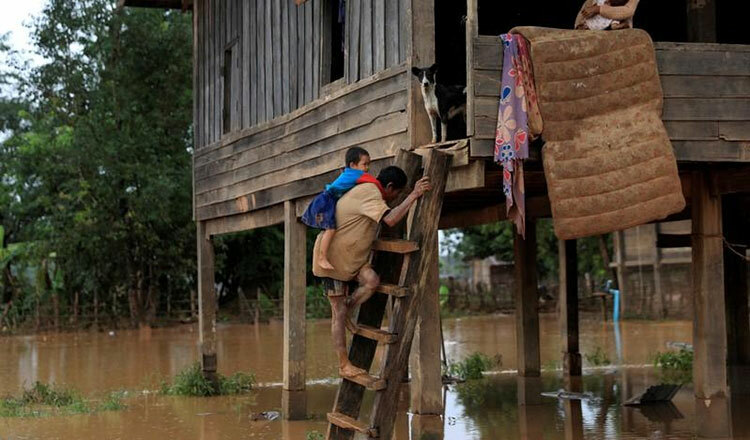 The heavy rains have also affected other provinces, and the Lao government has reported flooding in 373 villages in 10 provinces, affecting roughly 1.5 million people. Lao PDR is exposed to many climate hazards, such as flooding, drought, landslides, storms, and typhoons. From 1970 to 2010, 33 natural hazard events were recorded, mostly floods and droughts, affecting almost 9 million people and causing economic damages of over $400 million. The Lao government is actively promoting public awareness of disaster-risk reduction. The last decade has seen an important shift in risk-management strategies, from a reactive approach, focused on post-disaster relief, to a more proactive approach, emphasizing pre-disaster preparedness and prevention. Disaster-risk management is coordinated through a relatively new network of provincial, district, and village Disaster Prevention and Control Committees (DPPCs). District and village disaster units are still nascent, however, and have been the focus of capacity building in recent years. The Asia Foundation and the Korean NGO Luminous Action OrganizatioN (LAON) are working together on a project called “Prepared and Resilient Communities in Lao PDR.” The goal is to increase communities’ resilience to disasters, particularly floods, in Luang Prabang province by providing disaster-risk reduction and management training to provincial DPPCs, building a safe shelter and community center, and offering training to support disaster-resilient livelihoods in Xieng Ngeun district. The training approach draws on the Community Emergency Response Team (CERT) model. CERT was first developed in the United States by the Los Angeles Fire Department in 1985 and is now widely seen as an effective tool for community preparedness worldwide. It equips community members with essential disaster-response skills and provides a framework for coordinated assistance to professional responders when needed. In 1994, the US Federal Emergency Management Agency (FEMA) expanded the CERT materials to make them applicable to all hazards and made the program available to communities nationwide. The Asia Foundation is currently adapting the CERT training programme for the Lao context. This May, just before the dam collapse, the Foundation organized a CERT training by US FEMA trainers for members of Lao PDR’s national and provincial DPCCs. The curriculum included flood response, fire safety, disaster first aid and medical operations, light search and rescue, and guidance on reducing traumatic stress after a disaster has struck. 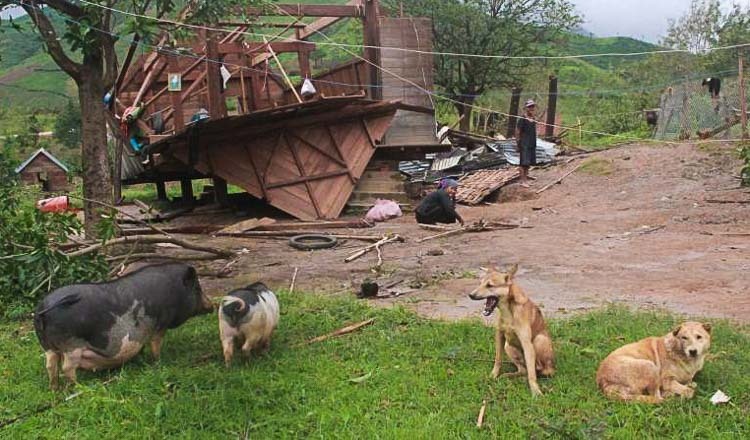 In the wake of the flooding in Attapeu Province, the deputy prime minister was appointed to lead emergency relief, and a national response is under way. Some of the government personnel who participated in the CERT training in May, from the Ministry of Labor and Social Welfare and the Lao Red Cross, are part of the emergency response team now bringing humanitarian assistance to affected communities in Attapeu Province, and we are hopeful the skills they learned at the May training are mitigating the tragic effects of this disaster. Derin Henderson is environment programme adviser for The Asia Foundation in Lao PDR. This article first appeared in InAsia.